If you watch the July 27 Opening Ceremony of the 2012 Summer Olympic Games in London you’ll see America’s delegation sporting Ralph Lauren’s classic take on red, white and blue. But inside several of those Team USA uniforms — and uniforms of other nations — will be competitors who bleed black and gold. Eight former Wake Forest athletes are Olympians: three each in field hockey and basketball, and one each in triathlon and track and field. The alumnae trio of Lauren Crandall (’07), Claire Laubach (’09) and Michelle Kasold (’09) are on the U.S. Olympic Field Hockey squad. 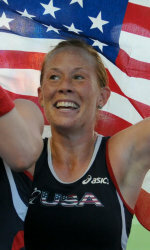 Crandall, who also competed in the 2008 Olympic Games in Beijing, is team captain. “Having the opportunity to compete in my second Olympics is an unbelievable feeling,” said Crandall. 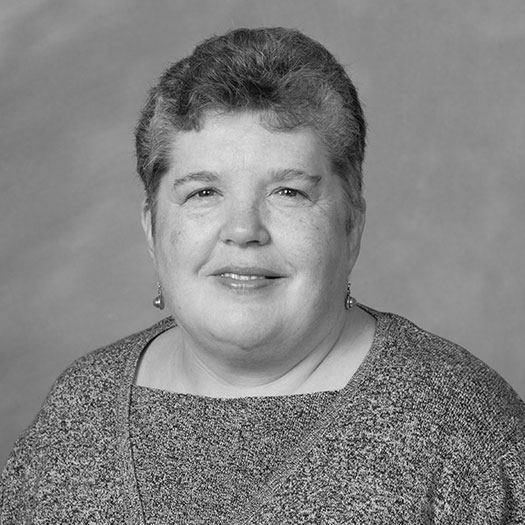 “Our 2008 team was disappointed with an eighth-place finish. Therefore, I feel as though we have unfinished business at the Olympic games. We are a young team, a rising country and have a lot to prove in these upcoming games.” They begin play July 29 against Germany. Kemper, who didn’t even make the travel squad during his first two years with the Wake Forest team, said the triathlon was a side pursuit in college, wrote Collins. Beset by injuries and illness, Kemper’s efforts to qualify for this summer’s Olympics came down to a final race on May 12. 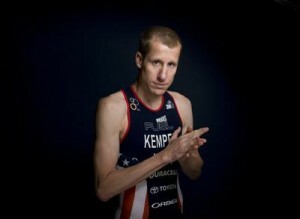 He placed fifth and earned a spot in the London Olympics at age 36. “It’s exciting to go represent the USA again,” he said. 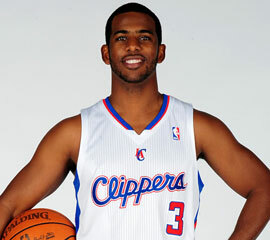 Deacon legend and Los Angeles Clippers guard Chris Paul (’07) is on the men’s basketball team coached by Duke’s Mike Krzyzewski. Paul, a five-time NBA All-Star, and Team USA will be going after a second straight Olympic gold medal. Darius Songaila (’02), who played basketball at Wake Forest from 1999-2002, will compete for his native country of Lithuania in his third Olympics. Al-Farouq Aminu (’12), who played two seasons at Wake Forest from 2008-2010, helped Nigeria earn its first-ever Olympic berth in basketball. Olympic basketball competition begins July 29. Former Wake Forest track and field standout Brent LaRue (’10) will run the 400m hurdles for Slovenia. He will run under the Slovenian flag after moving to the European nation with his wife, former Deacon tennis player Ana Jerman (’09), who hails from Slovenia. So settle into the easy chair and get ready to cheer on Wake Forest Olympians! They’re “constant and true” in red, white and blue — or any other colors. Go Deacs!